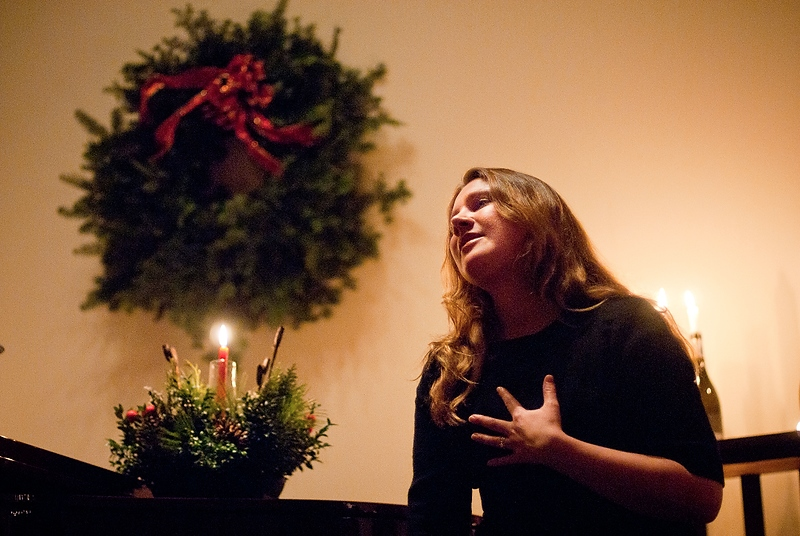 Winter Carols is BarnArts original event and the highlight of our Winter programming. Don’t miss this festive opportunity to join with neighbors and friends and celebrate the season as a community. 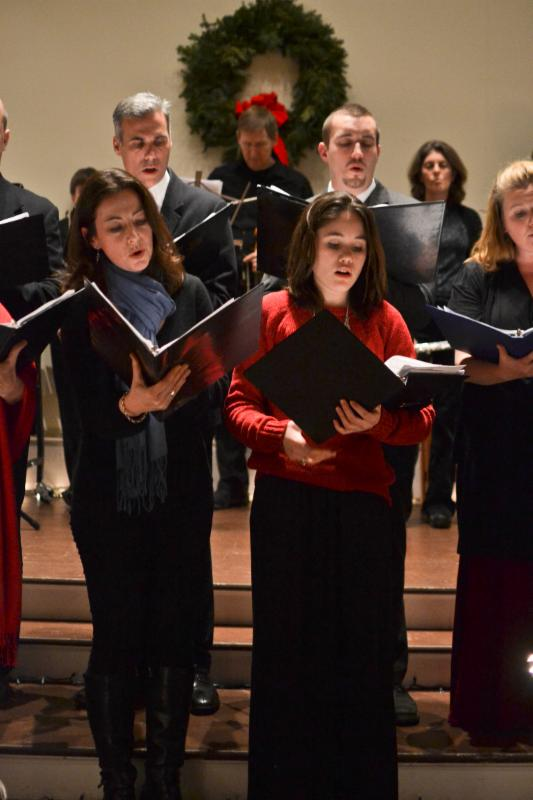 Winter Carols includes audience sing-alongs as well as instrumental and choral performances. Winter Carols is free, a gift for the community from BarnArts. Please join us! 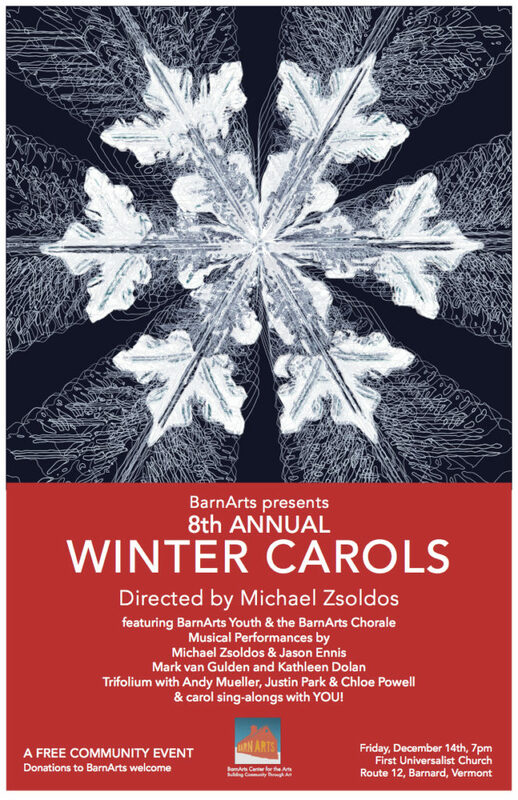 BARNARD, December 11, 2018 – The First Universalist Church and Society of Barnard will host BarnArts 8th Annual WINTER CAROLS at 7 p.m. on Friday, Dec 14. Admission is free for this 75-minute performance under the direction of conductor Michael Zsoldos. 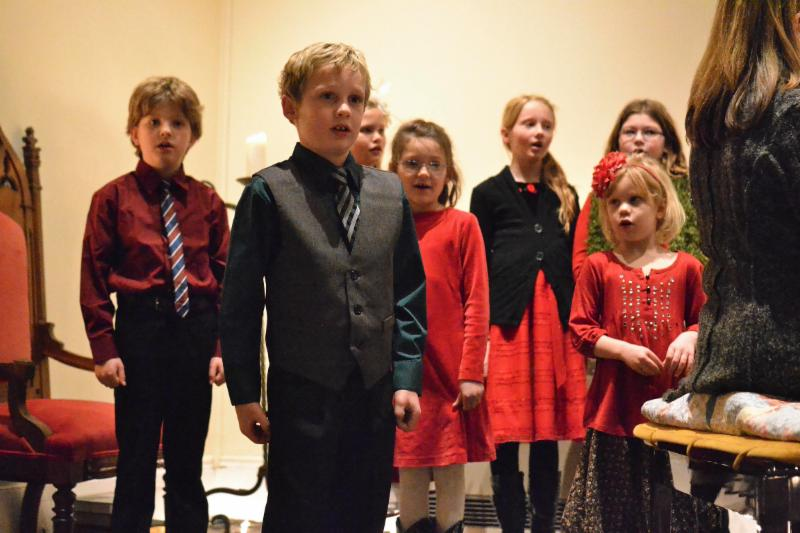 Choral performances by the BarnArts Youth and BarnArts Chorale are mixed with musical performances by local musicians, and the evening includes audience sing-alongs and a candle lit ceremony. WINTER CAROLS is BarnArts original event and is provided free to the community as a gift, to encourage all to come together and celebrate the season with song. 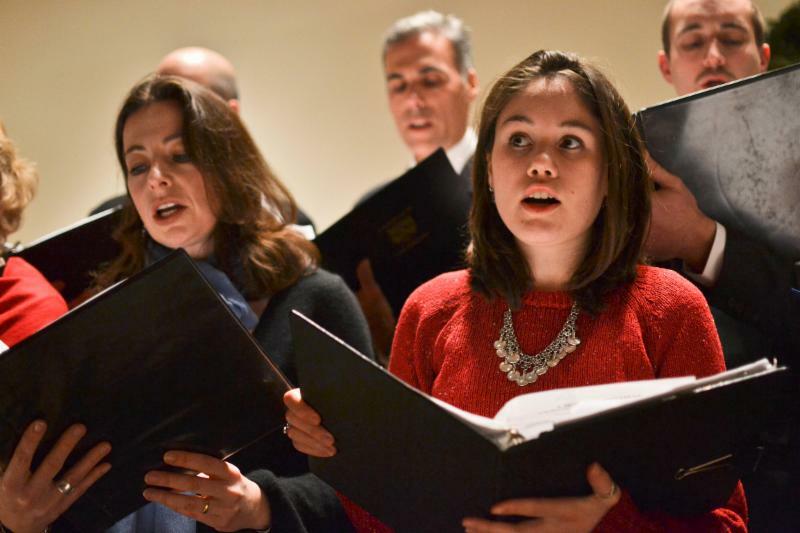 The year’s celebration includes a “The Lamb” based on a William Blake poem and “The Holly and the Ivy,” a group rendition of “Do you Hear what I Hear?” with the BarnArts youth singing melody, and other seasonal favorites. Michael Zsoldso will pick up his sax and join with jazz guitarist Jason Ennis for an interlude of energized holiday music. Mark van Gulden and Kathleen Dolan on piano, drum and flute provide a duo of thoughtful Holiday songs and the local fiddle group Trifolium, will play a medley of toe-tapping traditional music. Singing in this year’s BarnArts Chorale is Amanda Anderson, Jessica Bonasera, Natalie “Willow” Carr, Rachel Clark, Nancy Conte, Nicole Conte, Dan Deneen, Kathleen Dolan, Laura Foley, Cathy Foutch, Clara Gimenez, Linda Grant, Paige Greenfield, William B. Hoyt, Johanna Kasten, Krysta Kostrubiak, Joanna Kell, Joanna Long, Norwood Long, Suzy Malerich, Bill McCollom, Amy Morel, Hugo Morel, Mary Myers, Sara Norcross, Carin Park, Jim Reiman, Deborah Rice, Lisa Robar, Arlana Ruch, Danelle Sims, Linda Treash, Mark van Gulden, and Tambrey Vutech. BarnArts Youth includes Hannah Clavelle (13), Shay Johnson (12), Sierra Bystrak (10), Marlena Farinas (10), Harmony Johnson (10), Lillie Knapp (10), Jada Ruch (9), Ella Davis (8), Zella Little (7), and Annabelle Park (6). Based in Woodstock, conductor Michael Zsoldos is a graduate of the Eastman School of Music and Michigan State University where he studied with Branford Marsalis. His current performances projects are “Music for Loving: A Tribute to Ben Webster”, the Miro Sprague Quintet and The Convergence Project. Michael composed and performed the music for the 2017 documentary Seeing Through The Wall: Meeting Ourselves in Palestine and Israel. Michael is a lecturer in classical saxophone at Dartmouth, the instrumental arranger of the Dartmouth Gospel Choir, and a faculty member of Interplay Jazz and Arts and the Vermont Jazz Center’s Summer Jazz Workshop, where he teaches jazz improvisation and leads jazz combos.